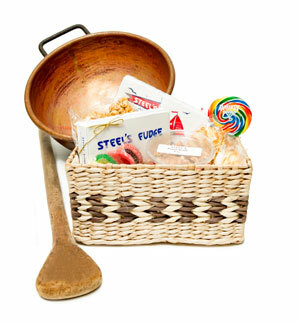 The Steel's Plus gift basket provides a nice mix of our special candies as a way to say you care about that special someone. Order a basket and bring back summertime memories on the boardwalk! This basket include an additional shipping fee of $15. The contents for this gift basket includes the following items.